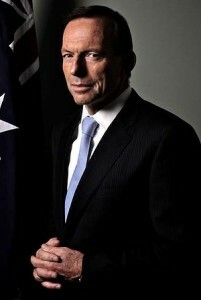 In an interview with John Laws, Abbott spoke about his personal conviction that marriage is between a man and a woman. ‘I know where I stand on this. I respect the views of people who disagree with me but I respectfully disagree with them,’ he said. ‘We have to be conscious of the fact that we are all the products of the society, of the culture, of the circumstances that have shaped us,’ he said. ‘I’m not saying that our culture, our traditions are perfect, but we have to respect them and my idea is to build on the strength of our society and I support, by and large, evolutionary change. Labor supporters condemned the statement, using it to illustrate their belief that Abbott is old-fashioned and out of touch. ‘This campaign is now going to be about a choice between a 20th century man [Abbott] and the future [Rudd],’ a senior ALP strategist said. This entry was posted in Politics and tagged equality, gay marriage, in brief, tony abbott. Bookmark the permalink.